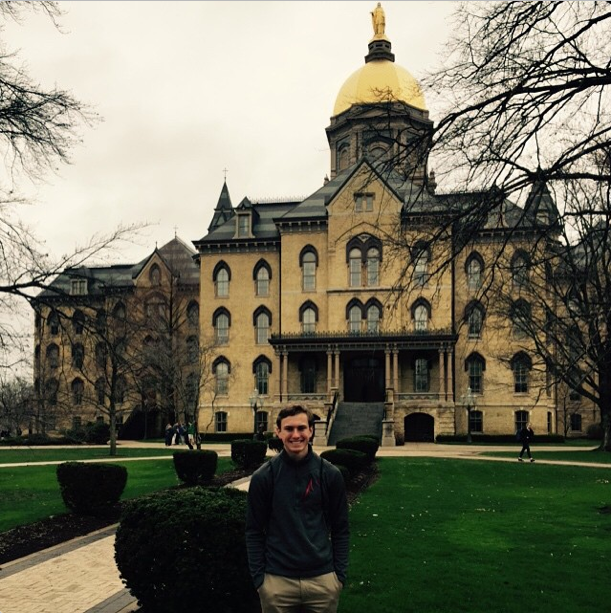 Sharon and Jack spent the morning on the Notre Dame campus. They had sat through an hour presentation about the school and then went on an hour plus tour. They had lunch in downtown South Bend. After lunch, they headed back towards Chicago. They made a short stop at St. Josephs Church in Hammonds, Indiana where Sharon's parents were married. Unfortunately, the church was locked. In spite of some weather and a struggle with the rental car, they were back in Chicago in the late afternoon. They are staying at a hotel on Michigan Ave [Magnificent Mile] not far from where I stayed when I was there last fall. They finished the night shopping in a giant Under Armour store and having some Italian food.